The lives and futures of more than 19 million children are at risk of disasters linked to climate change in Bangladesh, the UN agency for children has said. Although the South Asian country has improved its climate resilience, flat topography, dense population and weak infrastructure made its uniquely vulnerable to floods, cyclones and other environmental calamities linked to climate change, according to a new UNICEF report released on Friday. Children account for 40 per cent of Bangladesh’s total 160 million population, according to UNICEF which added that the tally includes Rohingya refugee children from Myanmar who are living in squalid camps in southern Bangladesh. The report, “A Gathering Storm: Climate change clouds the future of children in Bangladesh,” said nearly 12 million of the children are vulnerable to floods as river systems flow through the country and regularly burst their banks. “The danger that is represented by flooding is extreme and it is almost on an annual basis,” said author of the report, Simon Ingram. The major flooding of the Brahmaputra River inundated at least 480 community health clinics and damaged around 50,000 wells, which are essential for meeting communities’ safe water needs, the UNICEF added. Ingram added that “this had an enormous effect not just in terms of displacing families and pushing them out of their homes” but also the “destruction that it caused to health facilities and to basic services like water and sanitation”. The report added that 4.5 million others living in coastal districts are regularly struck by cyclones and a further three million living inland suffer increased periods of draught. “In Bangladesh and around the world, climate change has the potential to reverse many of the gains that countries have achieved in child survival and development,” said Henrietta Fore, executive director of UNICEF. Fore said families in Bangladesh’s poorest communities are unable to keep their children properly housed, fed, healthy and educated as the environmental threats deepen through the impacts of climate change. A combination of extreme weather events such as flooding, storm surges, cyclones and droughts and longer-term phenomena directly related to climate change – such as sea level rise and salt water intrusion – are forcing families deeper into poverty and displacement, UNICEF said. In the process, children’s access to education and health services is severely disrupted, it added. 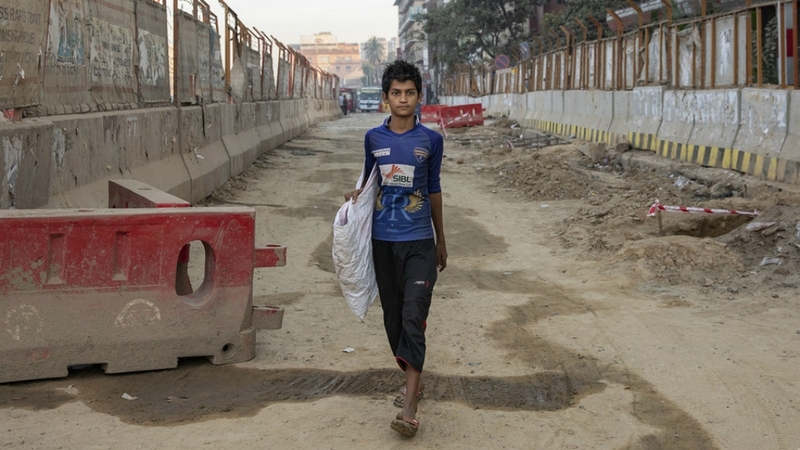 Citing research showing that Bangladesh’s climate migrants would double in 2050 from the existing six million, the UNICEF report said poorer Bangladeshis abandon their homes and communities to try and rebuild lives elsewhere. Many head to Dhaka and other major cities, where children risk being pushed into dangerous forms of labour and into early marriages, it added. “When families migrate from their homes in the countryside because of climate change, children effectively lose their childhoods,” said UNICEF Bangladesh Representative Edouard Beigbeder. They face danger and deprivation in the cities, as well as pressure to go out to work despite the risk of exploitation and abuse, Beigbeder added.